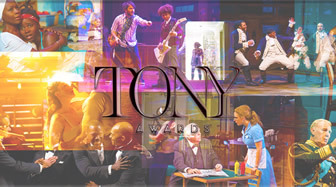 TONY AWARD NOMINATIONS ANNOUNCED TODAY! Mel Brooks' The Producers and Elton John's Billy Elliot both earned 15 Tony Award nominations and held the record as the two musicals in Tony history with the most nods. This morning the rap juggernaut hit Hamilton broke that record with 16 nominations. Miranda's musical has vividly shown that color blind/ Non-traditional casting does NOT hurt a show's success. A new era of musical theater has been born thanks to Hamilton. So Donald Trump see- a Puerto Rican wrote the music, lyrics, book, and stars in the most successful musical that has made Broadway history and surely will stay on Broadway for years. 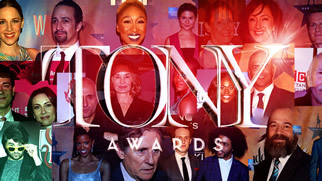 Okay, let's get this one basic truth out of the way- with the exception in the acting categories, Tony night will be a very predictable evening with Hamilton sweeping practically every category it is nominated for. The show has won everything, including this year's Pulitzer Prize. When it premiered last season off-Broadway, it won the Outer Critics Circle Award as well as the Drama Desk for Best Musical. The show has been promoting like crazy by performing on several TV Talk shows. Creator Lin-Manuel Miranda has been on every talk show and several cameos/skits on other TV shows (Inside Amy Schumer). He even visited the White house and had the power to have the US Treasury keep Hamilton's face on the $10.00 bill. And he made the cover of Time's magazine announcing the 100 most influential people of 2015, which Miranda rightfully earned that accolade. Finally, both Playbill.com and Broadway.com have posted tons of articles on the show, the cast, etc. There hasn't been a day when either national website didn't post something about this history making rap musical. Hamilton has become a massive box office hit and made history. So there won't be any shockers with them taking home Best Musical, Score, Book, and Lyrics. Did you watch the live telecast of this morning's announcement of the nominees? Who on earth was in charge of the video projections? Was he or she drunk? Throughout the live telecast the images of the nominees kept popping ahead before they were even announced as nominees! Or they got behind and started to rush through the images of the nominees. They did have at least one tech rehearsal, right? NOT NOMINATED: American Psycho, On Your Feet, Tuck Everlasting, Disaster, Amazing Grace, Allegiance. JOHN'S COMMENTS: Here is the major issue with this category this season. The producers of Shuffle Along reached out to the Drama Desks asking them NOT to consider them for this season, but for next season. Most likely due to them not having to compete against Hamilton. But where the major problem lies is with the musical itself. Shuffle Along was originally done in 1921. The book and other elements of the show have been altered, shifted, etc. But technically in my opinion it really is a revival. The Tony committee should have listed it under Best Revival, giving the other new musicals a chance to get the nomination. Hamilton, Waitress, and School of Rock were the shoo-ins. Normally there are just four shows nominated. Last year it was An American in Paris, Fun Home, Something Rotten, and The Visit. This year they went with five. American Psycho, On Your Feet, Tuck Everlasting, and Disaster all received pretty good reviews. Out of these four, On Your Feet is the one that is doing great at the box office. But any of these four could have greatly benefited on getting a Tony nod for Best Musical. This would have helped them at the box office and bring national exposure to their shows. Nothing against Shuffle Along, it deserved the nomination, I just felt (as many articles stated today) it should have been put in the Best Revival category. Plus it would have a much better chance of winning. I think the subject matter of American Psycho hurt its chances. I think the much older members of the Tony committee were in shock watching this musical about an egotistical, self-absorbed 80s businessman slinging an axe on stage and singing. The grey hairs had to be wishing they were sitting at a Rogers and Hammerstein show instead. I personally cannot wait to see this musical! Disaster! Was such a massive hit off-Broadway, that's why it transferred to Broadway. The camp filled show is packed with Tony award winners/nominees wattage. From what I've read people love the show. Really was hoping it would have earned a nod (especially for Jack Plotnick's direction). NOT NOMINATED: An Act of God, China Doll, Misery, Our Mother's Brief Affair, Therese Raquin. 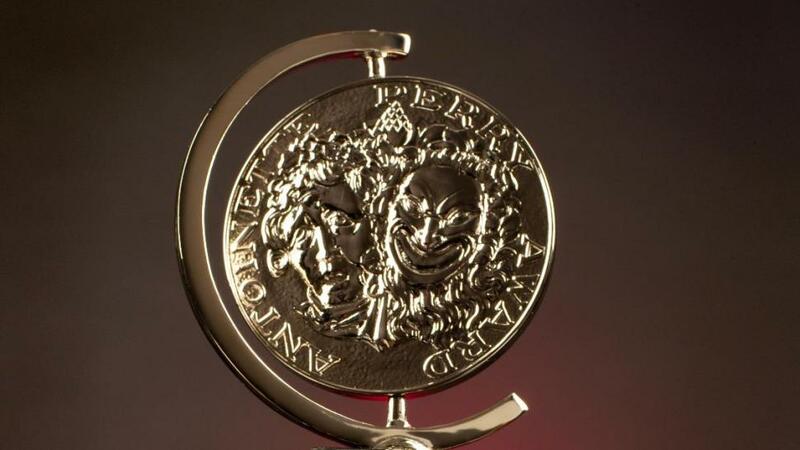 JOHN'S COMMENTS: The Tony committee made it very clear, just cause you have a major film star in your show does not guarantee you a nomination. Bruce Willis (Misery) received mediocre reviews, while Al Pacino (China Doll) was raked over the coals for his work in China Doll. He had huge monologues and the Oscar winner simply could not remember his lines. It was revealed they had monitors placed on the set. Several articles revealed Pacino would literally pause, walk behind a sofa (where one monitor was placed) to get his next line. NOT NOMINATED: Dames At Sea. JOHN'S COMMENTS: Um… they gave five slots for Best Musical, why not allow Dames At Sea in the mix? Of course if Shuffle Along was put in this category it would have been a more intense battle. No real shockers here as everyone predicted these four. It was a low season for new revivals on Broadway this past season. NOT NOMINATED: Fully Committed, Fool for Love, Hugie, Old Times, and Sylvia. JOHN'S COMMENTS: The only major omission was Fully Committed, many thought this was shoo-in. Sylvia received mixed reviews and closed early. NOT NOMINATED: Telly Leung (Allegiance), Austin P. Mackenzie (Spring Awakening), Josh Segarra (On Your Feet), Cary Tedder (Dames at Sea), Benjamin Walker (American Psycho), Josh Young (Amazing Grace). JOHN'S COMMENTS: The big surprise was Benjamin Walker's omission. He received glowing reviews for his performance as Patrick Bateman and earned both Drama Desk and Outer Critics nominations. This will be a two way fight between Burstein and Miranda. I predict that Burstein will win and here's why. Miranda will win for his book, lyrics, and score, and his much praised creation will win Best Musical. Burstein is a beloved figure who is deeply loved by the Broadway community. He has been nominated several times, but has yet to win. He received fantastic reviews for his performance in Fiddler. I think he is the sentimental favorite here. But if not him, then for sure Miranda will win. NOT NOMINATED: Ana Villafane (On Your Feet), Lea Salonga (Allegiance), Audra McDonald (Shuffle Along), Sandra Mae Frank (Spring Awakening), Eloise Kropp (Dames At Sea), Sarah Charles Lewis (Tuck Everlasting), Carolee Camell0 (Tuck Everlasting), Erin Mackey (Amazing Grace). JOHN'S COMMENTS: The surprises here was the omission of Tony fave Audra McDonald. Also Villafane received an Outer Critics nod for her performance as Gloria Estefan. JOHN'S COMMENTS: Really surprised that Ferguson and Parsons were not nominated. Both were met with glowing reviews from the critics. Whishaw earned an Outer Critics nod but no Tony love. NOT NOMINATED: Nicola Walker (A View From the Bridge), Annaleigh Ashford (Sylvia), Eve Best (Old Times), Keira Knightley (Theresa Raquin), Linda Lavin (Our Mother's Brief Affair), Kelly Reilly (Old Times), Cecily Tyson (The Gin Game). JOHN'S COMMENTS: Walker earned an Outer Critics Nod. The nice surprise here was Metcalf's nod for Misery. Several critics said in their reviews she saved Misery from tanking with her work on stage. 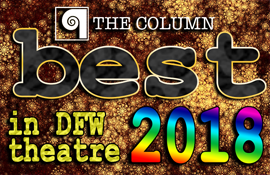 NOT NOMINATED: Nicolas Barasch (She Loves Me), Baylee Littrell, Adam Pascal, Roger Bart, and Kevin Chamberlin (all for Disaster! ), Paul Alexander Nolan and A.J. Shively (both for Bright Star), Terrence Mann and Andrew Keenan-Bolger (both for Tuck Everlasting), Gavin Creel (She Loves Me), Adam Kantor (Fiddler on the Roof). JOHN'S COMMENTS: Diggs, Goff, and Jackson rode the wave of critical praise for Hamilton to all sang nods. The last time three actors were nominated in the same category from the same musical was The Producers (Brad Oscar, Roger Bart, Gary Beach-who won). The three Hamilton actors did not receive nods from either the Drama Desks or the Outer Critics. 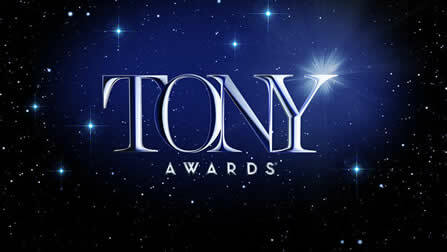 NOT NOMINATED: Helen Yorke and Alice Ripley both for American Psycho, Sierra Boggess (School of Rock), Jennifer Hudson (The Color Purple), Jasmine Cephas (Hamilton), Lesli Margherita (Dames At Sea), Faith Prince, Rachel York, and Kerry Butler all for Disaster!, Keala Settle (Waitress), Andrea Burns (On Your Feet). JOHN'S COMMENTS: Just like the Hamilton men in the Featured category, Goldsberry also rode the wave to earn a nomination, she was however overlooked by the Drama Desks and Outer Critics. Yorke and Burns both earned an Outer Critics nod. Strange that Hudson was ignored by the Drama Desk, Outer Critics, and now the Tonys. She earned critical acclaim for her work in The Color Purple. Um, she won an Oscar for Dreamgirls…a musical? Hum HELLO! NOT NOMINATED: Jim Norton (The Crucible), Robert Sella (Sylvia). JOHN'S COMMENTS: Really no omissions here. Most of the nominees here earned either a Drama Desk or Outer Critics nod. NOT NOMINATED: Judith Light (Therese Raquin), Saoirse Ronan (The Crucible), Sarah Steele (The Humans), Zaniab jah (Eclipsed). JOHN'S COMMENTS: Light and Jah both earned Outer Critics nods. NOT NOMINATED: Rupert Gold (American Psycho), Barlett Sher (Fiddler on the Roof), Jerry Mitchell (On Your Feet), Walter Bobbie (Bright Star), Laurence Connor (School of Rock), Diane Paulus (Waitress), Jack Plotnick (Disaster!). JOHN'S COMMENTS: Bobbie, Goold, and Sher earned either Drama Desk or Outer Critics nods. Personally I was rooting for Jerry Mitchell. He received really terrific reviews for taking a jukebox musical and making it work flawlessly with amazing pace. JOHN'S COMMENTS: Goold, Mantello, and Hove all earned Drama Desk and Outer Critics nods. Oddly Hughes was overlooked, but his show was nominated for Best Play. NOT NOMINATED: American Psycho, Tuck Everlasting, Amazing Grace, and Allegiance. 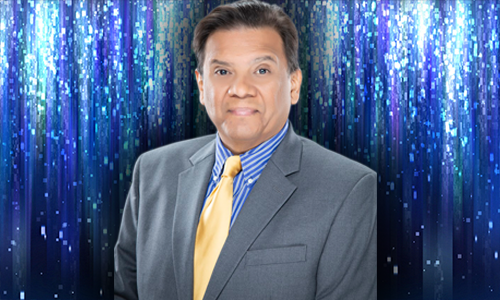 JOHN'S COMMENTS: On Your Feet used the music of Gloria Estefan, while Disaster!  used music from the 70s. The New York Times review heavily praised the score to Tuck Everlasting, while American Psycho got some solid critical raves. NOT NOMINATED: On Your Feet, Tuck Everlasting, Disaster! JOHN'S COMMENTS: On Your Feet earned an Outer Critics nomination. In fact, when the musical opened several critics praised how seamlessly the book worked so well with the Estefan music catalogue, and this is a jukebox musical! That's rare that the book works in that genre. So it was really disappointing that it was ignored by the Tony committee. Jack Plotnick and Seth Rudetsky packed in tons of camp and laughter in their book for Disaster! But alas were also ignored this morning. NOT NOMINATED: Spencer Liff (Spring Awakening), Lynn Page (American Psycho). JOHN'S COMMENTS: Liff earned a Drama Desk and Outer Critics nods, Page earned a Drama Desk nod.